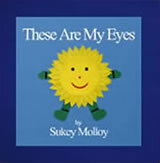 About Sukey Molloy - Sukey Molloy! 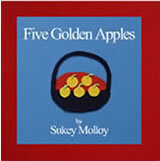 Sukey Molloy began working with children in 1985 and embarked upon her career as a children’s music performer and recording artist nine years later. Little did she know that she would one day be winning awards for her work, making CDs and DVDs, and airing on BabyFirst TV! Growing up, Sukey studied dance and piano at the Hartford Conservatory of Music. She went on to train and perform as a professional modern dancer in New York City and became a member of the Solomon’s Company Dance, performing and touring with the company in NYC and Florida. Following her dance career, with children of her own, Sukey went on to study Developmental Movement and Kidnastics with former Olympian, Garland O’Quinn, Ph.D., and Infant Development with Bonnie Bainbridge Cohen. 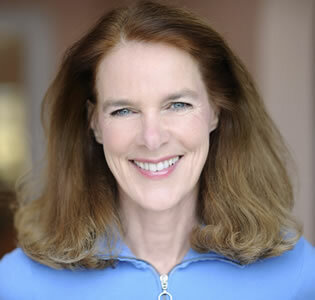 Sukey has designed and taught music and movement programs in nursery schools, after-school programs, and elementary schools, and, in 2005, launched her own, Nyack, NY-based PlayMove&Sing program of “Mommy & Me” classes and teacher training workshops. Clients, fellow educators, and fellow musicians encouraged Sukey to record the songs she used in her classes, and the result was her first CD, Circle Songs! (2005), which won the Children’s Music Web Award. A second album, I Like to Sing! (2007), received a NAPPA Honors Award, her third album, I Am Happy! (2012) received the Mom’s Choice Gold Award and the Preferred Choice Award, and her fourth album, I Am Sleepy! (2102) just won the Parents’ Choice Silver Award. Sukey’s CDs are co-produced with Grammy-winner Larry Alexander, who she feels is the ideal person to interpret, record, engineer and master her music. Larry has recorded such artists as Diana Ross, Bruce Springstein, Willie Nelson, Bon Jovi, and David Bowie, and Sukey is honored to have him on board. Sukey formed her own Circle Song Band in 2006, and in the same year teamed up with Nancy Ferst to create PlayMove&Sing Inc.
Sukey Molloy’s music, teaching and performing remain the centerpiece of her mission to encourage young children to play, move, and sing, and have led to the creation of an array of companion play products. Hand puppets, finger puppets, musical instruments, picture books, felt art, and DVDs have been a natural outgrowth of the discoveries Sukey has made while teaching and performing. The Sukey’s Circle! DVDs, featuring Sukey’s music and movement play activities, have won the NAPPA Honors Award, the Mom’s Choice Gold Award, and the Preferred Choice Award, and are currently airing on Happy Kids, myKazooTV, Highbrow, and Kidobi. In a gentle, musical atmosphere based on invitation, trust, and repetition, Sukey looks for that “just right” mix of movement and song where children can enter at their own pace and receive that special feeling of “I can!” Sukey’s lyrics, melodies, and felt art are imbued with a simple, gentle, childlike quality, offering imagery, sound, motion, and intimacy to which young children can directly relate. With a goal of achieving greater awareness for her music, video, and performance art, Sukey released her 4th video series, Sukey’s House! 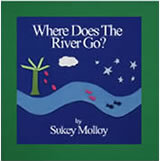 with Sukey Molloy & Friends, in February 2017 which is available as a digital download from amazon.com. 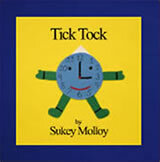 And,in January 2018, Sukey will begin posting a brand new series of made for YouTube videos – Story Time, Craft Time, and Circle Time Play. Don’t miss the fun!